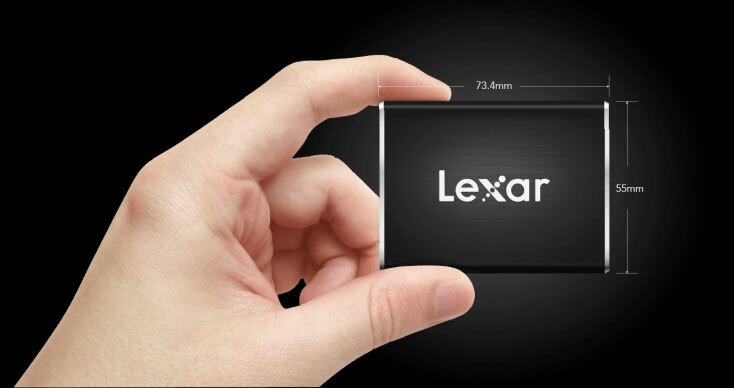 Big news just came from Lexar and you’re, definitely, going to be impressed. The San Jose-based company announced the new Lexar Professional SL100 Pro Portable SSD which they dubbed the fastest in the world. The portable SSD has a quite stylish brushed aluminum finish. The compact and slim portable SSD is easy to fit into a pocket and, let’s face it, everybody loves convenient products that don’t require too much hassle to carry them, take out, and use whenever necessary. The latest Lexar product features DataVault Lite software which is a considered to be an advanced security solution with 256-bit AES encryption. The top-notch security software protects files against loss, corruption, and deletion. Considering the fact that we live in an era of major security breaches, it has never been more important to use advanced security solutions than it is today. Superior performance is one of the most important advantages of Lexar Professional SL100 Pro Portable SSD. You’re probably wondering how fast it actually is. Well, the portable SSD from Lexar has 950 MB/s read, and 900 MB/s write speeds. Basically, it is two times faster than SL003. Speeds at which the new portable SSD performs are absolutely amazing, and it’s safe to expect it’s going to be a huge hit on the market. In addition to superior performance, the portable SSD also has high-capacity portable storage with up to 1TB memory space. Plus, durable design resists vibration and harsh temperatures meaning it’s safe to carry it in the pocket even when you’re outdoors when you never know what can happen. The portable SSD is resistant to dropping and shaking – so your files will be safe. 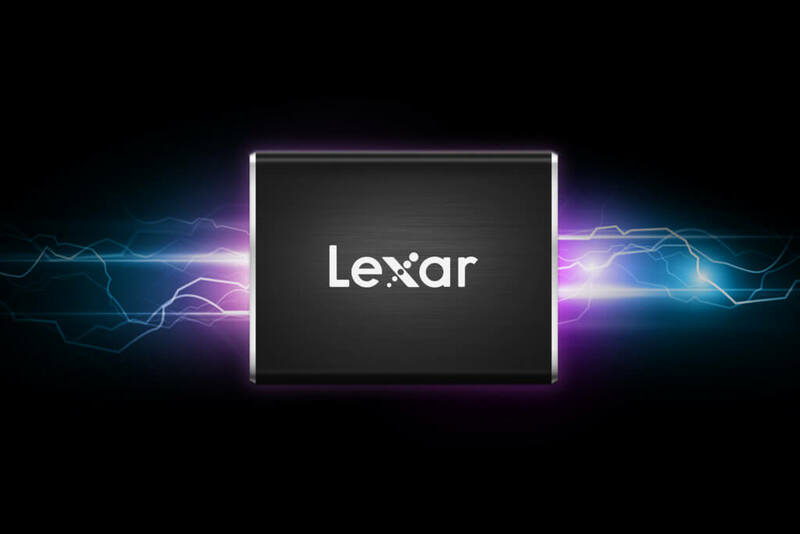 Justifying their status as the leading global manufacturer of flash memory solutions, Lexar comes with a USB Type-C port which allows users to store files and share them quickly with USB 3.1 speeds. What we love about USB Type-C is that, unlike classic Type-A, it is reversible. Connectors and ports look better and more sophisticated, but also symmetrical. If your computer doesn’t have USB Type-C port and you’re wondering whether it means it’s impossible to use SL100 Pro, you’ll be happy to know that’s not the case. You see, all one needs to do is to connect with Type-C device via a dongle or USB-C to USB-A cable. Basically, as long as your computer has a USB port (and of course it does), you can still use this marvelous little SSD. The brand announced their latest portable SSD would come at a competitive price in addition to amazing speed and superior performance. The product will particularly appeal to videographers and photographers so they can create content without stress and hassle knowing their files are safe, protected, and easily accessible. Lexar Professional SL100 Pro Portable SSD is compatible with Windows 7, 8, and 10 as well as Mac OSX 10.6+. The product will be available this month, with an MSRP of $99.99 USD (250GB), $149.99 USD (500GB), and $279.99 USD (1TB) and it comes with a three-year warranty.